A Star is Born Soundtrack will be released on October 5th, alongside the film, as what looks to be one of the biggest soundtrack albums of the year. 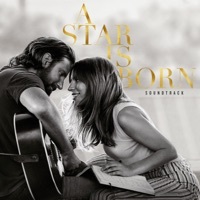 The soundtrack features a blend of Country and Pop, with Lady Gaga and Bradley Cooper collaborating with a variety of musicians to make this happen. The soundtrack to A Star is Born will also feature artists from Mark Ronson, Diane Warren and Andrew Wyatt. The extended edition of the soundtrack will feature a whopping 34 original songs, from a huge array of artists, spanning a variety of genres. First song that opens the film, we see Jackson Maine singing on stage to the crowd. Jackson hops into a bar after his gig and watches on in awe as Ally sings this at the cabaret club. Is pretty woman in the soundtrack? its not NEW YORK I LOVE YOU by lcd soundsystem!!! I got the song,, 'what you doin it, doin it.. or something.. man, what an awful song! Why was that even put in the film? really ,,, that's my opinion..
What IS the song that Lady Gaga sang in her Sat Nite Live performance? It wasn't with Bradley I don't think, right?